The King’s Parade perfected their craft on a cruise ship. They were arrested for busking in Leicester Square. They’ve been given recognition by the city’s resident buffoon/sometime mayor, Boris Johnson…but frankly, don’t let any of that put you off, since the good far outweighs the bad here. 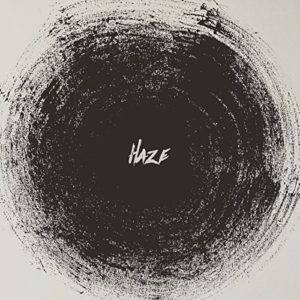 When a musician is both prolific and open to lots of influences, they’ll end up with lots of musical ideas that don’t quite fit their regular outlet. Such is the case for multi-instrumentalist Adrian Jones. Whilst working on the Nine Stones Close album ‘One Eye On The Sunrise’, he and studio engineer/multi-instrumentalist Michel Simons recorded various pieces of music of a more laid-back and ambient nature. 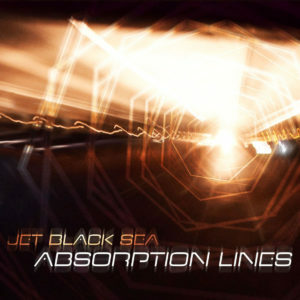 Rather more rooted within electronica and the darker worlds of Massive Attack than rock, the musical ideas were eventually released as an album, ‘The Path of Least Existence‘ credited to Jet Black Sea in 2013. With Jones returning to Nine Stones Close almost immediately afterwards and their ‘Leaves‘ album featuring some very dark and anguished material, it seemed like Jet Black Sea was merely a temporary outlet. A brilliant outlet, but not necessarily an ongoing fixture in the 9SC family tree. However, three years after their first Sea voyage, Jones and Simons re-entered the studio. They’ve built a loyal following on the live circuit and have put in some hard yards at festivals. They can count ex-Clash drummer Nicky “Topper” Headon and sometime AC/DC tub-thumper Chris Slade among their fans. 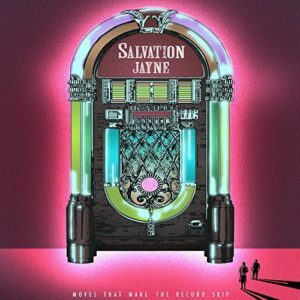 However, in the grand scheme of things, UK rockers Salvation Jayne aren’t so well known at the time of their EP release ‘Moves That Make The Record Skip’. This probably says something about the huge amount of music we now have at our disposal rather than the band’s actual talent, since had this EP been released back in the early 90s when The Black Crowes and Kiss of The Gypsy were making waves, you certainly would’ve heard Tommy Vance and Fluff Freeman talking about these guys on a Friday and Saturday night in radioland.